Because I forgot to open a poll for this month's Fanart Monthly, I decided that this month's featured character would be a surprise. 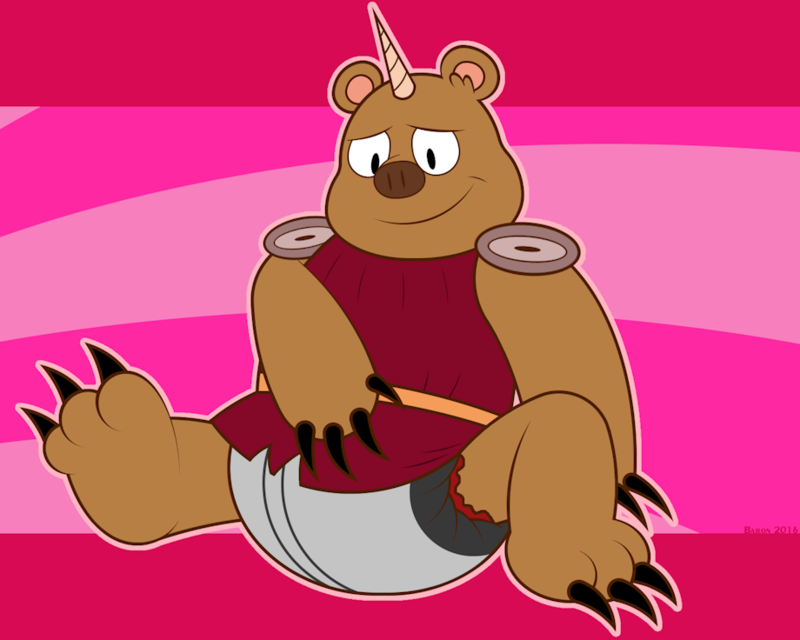 Without further adieu, this month's featured character is Bearicorn from Star VS the Forces of Evil. He may be a fierce warrior as part of Ludo's army, but hey, I find this teddy bear with a horn quite adorable, so I call dibs on first ever padded Bearicorn. Besides, this bear dude may secretly be into diaper fetish all along.